“Living Gadgets”, a Project by Studio José de la O speculates about a near-future reality, where product designers are able to use genetically designed creatures the same way materials are used in objects today; toying with the idea of how a genetically modified creature, designed not only to fulfill an utilitarian role, but also to be disposable the same way as a cheap gadget, could change the concept of a living being. 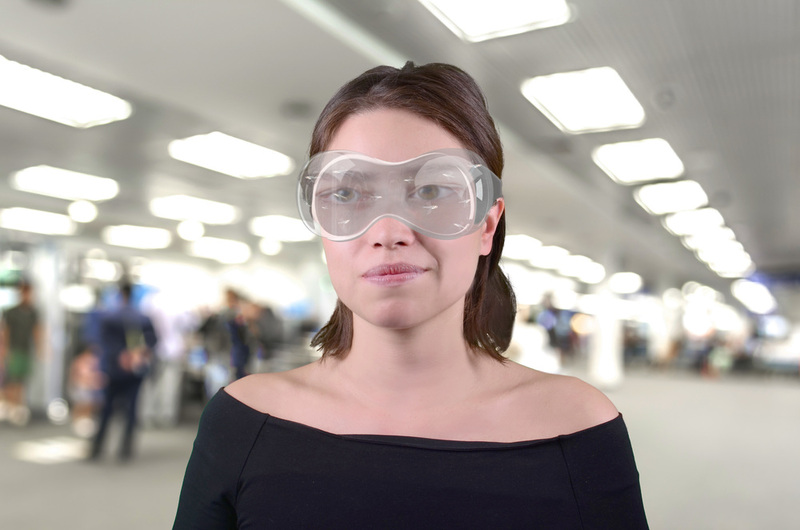 This project consists of three “living” product that allows stressed future travelers at airports to relax in three different ways using Nature as a material. Each product has unique living being that adds qualities and functions to stimulate the sense of smell, eyesight or hearing. 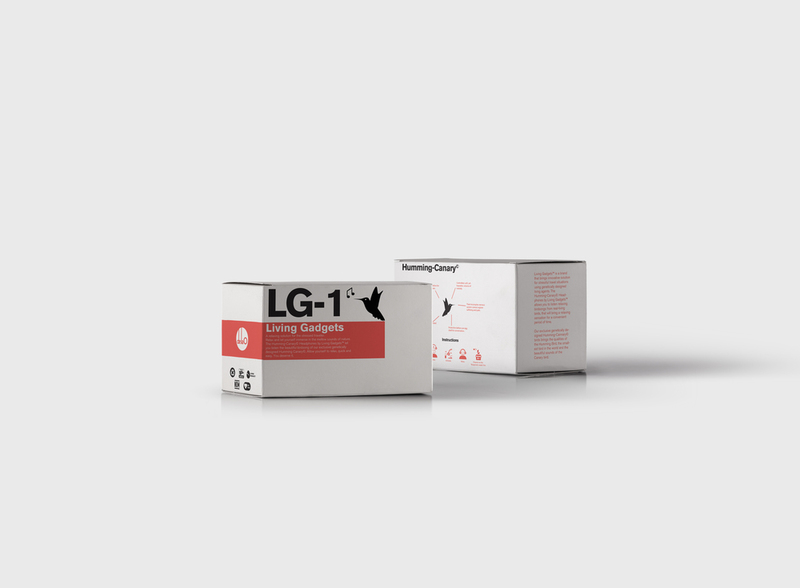 The first product, LG-1, is a pair of headphones containing two small GMO birds resulting of the combination of a hummingbird and a canary, hence, a Humming-Canary. 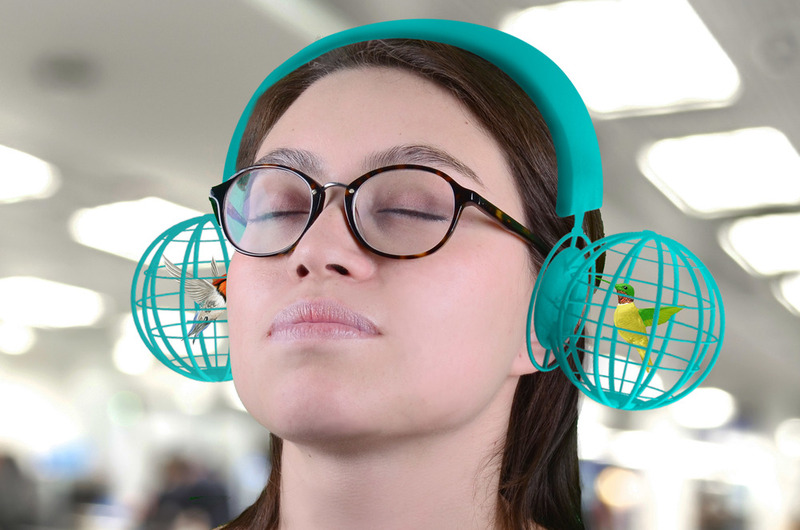 This allows users to hear canary-like melodies, making the bird to be small enough not only to fit inside the headphone, but to have a fast metabolism and a short lifespan, making these creatures, in a way, disposable. 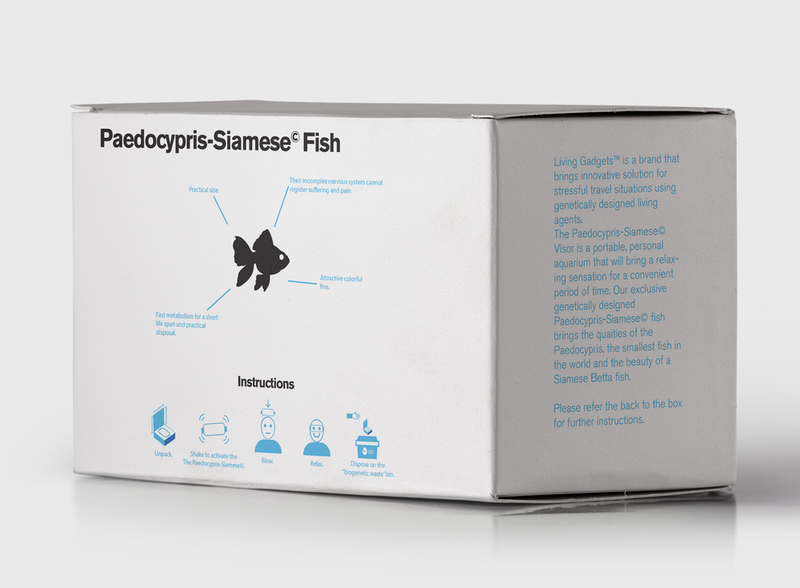 LG-2 The Paedocypris-Siamese© Fish Visor. LG-2, the second gadget, is a visor which contains small genetically modified fish resulting of the mix of a Siamese fish and Paeodcypris fish. The Paeodcupris-Siamese Fish is small enough to fit in the visor, but colorful and handsome enough for the user to enjoy a personal aquarium and stress down. These creatures are so small that their nervous system is very primitive, having not enough “hardware” to process pain or suffering. 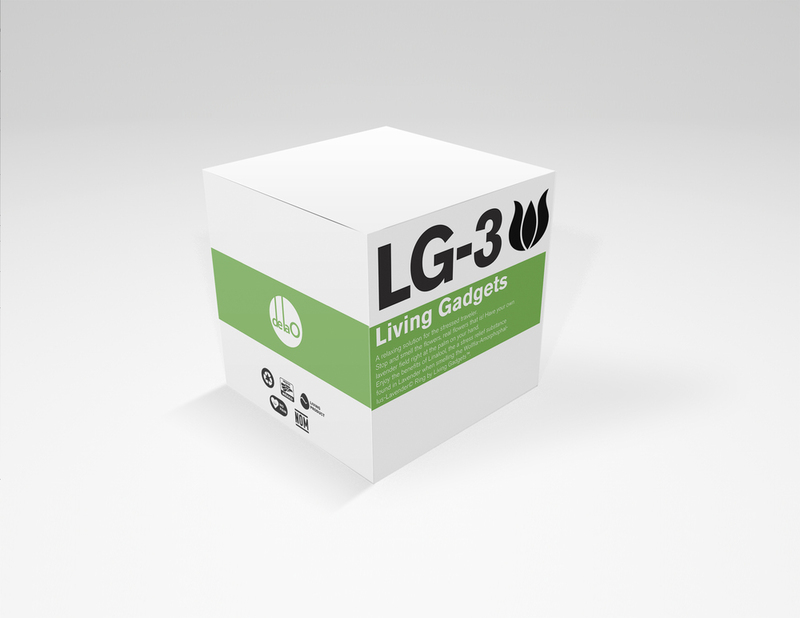 The third and last gadget, LG-3, is a small ring containing an Amorphophallus Lavender, the mix of the amorphophallus flower which is the species with most odor strength, and Lavender, a familiar, sweet soft smell. 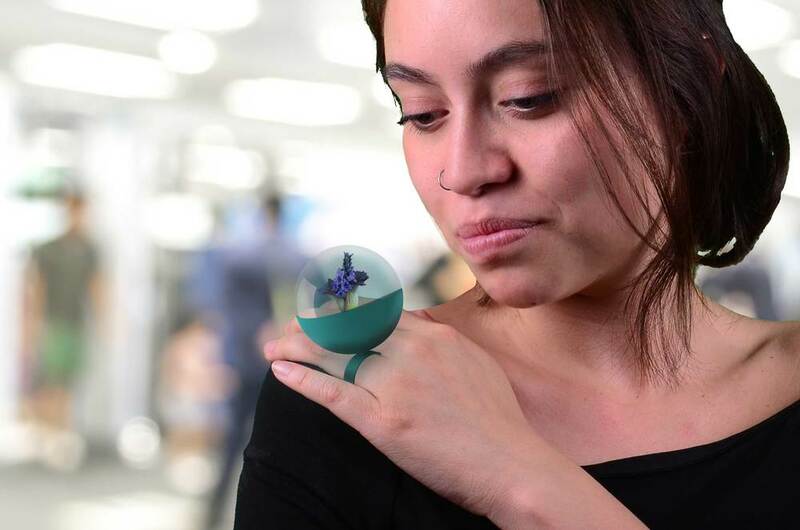 The user is able to smell natural scents after putting on the ring and twisting to activate. 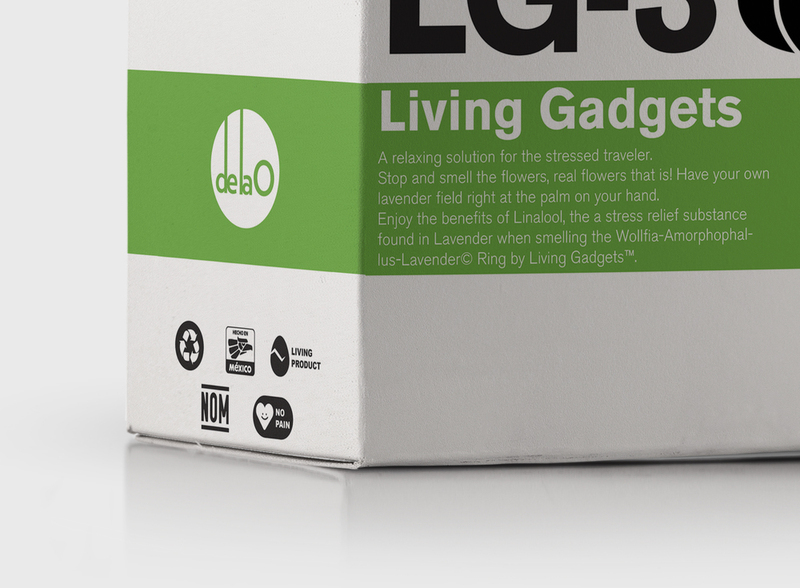 Living Gadget was developed under the Friday Project Initiative, where every collaborator at Studio José de la O is encouraged to design a speculative project. Research: Fernanda Lavin, Monica Arriaga. Product Design: Fernanda Lavin, José de la O. Packing Design: Mónica Arriaga, José de la O.
Icons on Packing (via Noun Project): Hernan D. Schlosman, Federico Panzano, Sebastian Andreasson. Images: Fernanda Lavin, Mónica Arriaga.